Taylor Swift, look what you made Mikey do! 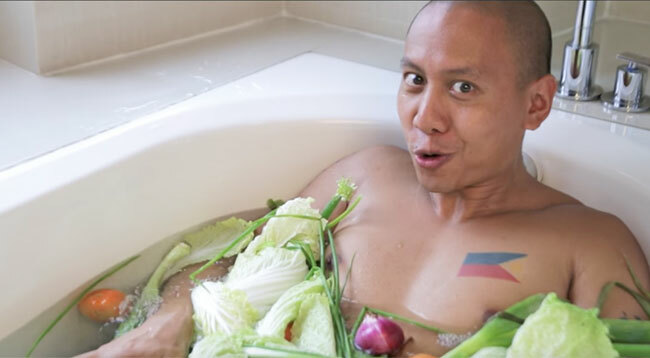 Mikey Bustos is a Pinoy singer-turned-YouTuber known for his LOL parodies of songs like Beauty and the Beast's "Belle (Little Town)" (new title: "Barangay") and more recently, "Despacito" (new title: "I Wear Speedos"). His latest upload is of Tay Tay's "Look What You Made Me Do," the first single from her Reputation album. He called the parody "I Put In In My Soup," and let's just say IT IS EVERYTHING. Mikey couldn't have done a better job, from the iconic bathtub scene filled with vegetables instead of bling, to the phone call where Taylor said she was dead. And can I just say the lyrics are TDF?! I'm sorry, the old Taylor can't come to the phone right now. I'm sorry. I cannot serve this soup right now. Watch it for yourself and LOL till your stomach hurts! Beware, Mikey, Taylor's got a list of names and yours is in red, underlined!